Growing up, Dee Ann’s father was a coach and assistant principal who instilled the value of an education in her at an early age. He and her mother pushed her to do well in school and strengthen her competitive spirit through sports, so it was not much of a surprise when Dee Ann began taking an interest in attending law school. Becoming an attorney was a goal Dee Ann had from the time she was a young girl. Fortunately, her best friend was three years older and shared the same passion, which ultimately gave Dee Ann a mentor to follow along her journey. When she graduated in 2006 with her J.D. she was thrilled that she had finally made her dream a reality. Dee Ann knew she had chosen the right profession early on in her career. She once had a client who was looking at 25 years to life in prison for a criminal charge. The client knew that his entire world rested on the jury’s verdict, so when he was found not guilty in less than an hour, he was completely in shock. The look on his face was like nothing Dee Ann had ever seen. Knowing that she helped save someone’s freedom that day instilled her with immense confidence for the future. We have more than just knowledge and experience… we have compassion. 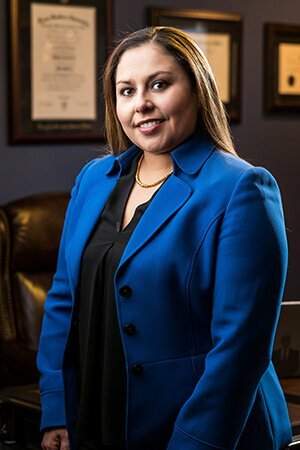 Since that time, Dee Ann has gone on to establish herself as an aggressive trial lawyer, specializing in family law and criminal defense. She worked for two prestigious firms before starting her own practice in 2009. Today, she and her brother, RJ, are pleased to serve you in tandem. Although criminal cases can often be very rewarding, Dee Ann has a rather fond memory of one of her family law clients. This particular mother was fighting for custody of her little girl after she had been in her father’s care for over three years. Dee Ann didn’t initially think going to trial was the best option, but she went on her client’s request. Two days later, the mother won back custody of her daughter. The mother overflowed with tears when she heard the news and still sends Dee Ann clients to this day. That’s why Dee Ann burns the midnight oil and comes into the office on Saturdays. Changing someone’s life for the better is worth it, and she never forgets that.